In April 1963, Dr. Martin Luther King and several other Civil Rights activists, including the Reverend Ralph Abernathy, were arrested in Birmingham, Alabama in the midst of a massive non-violent protest campaign against that city’s segregation practices. Dr. King ultimately spent 10 days in jail that April, and while he was in there, penned one of the most well-known treatises on direct action in the service of justice. “Letter from a Birmingham Jail” was written in the margins of a newspaper, on scraps of paper, and a legal pad obtained days after being incarcerated, and is still one of the most important texts we can read with our students. Now, 54 years later, Dr. King’s words are as applicable to injustice and issues of equality in the United States as they were then. 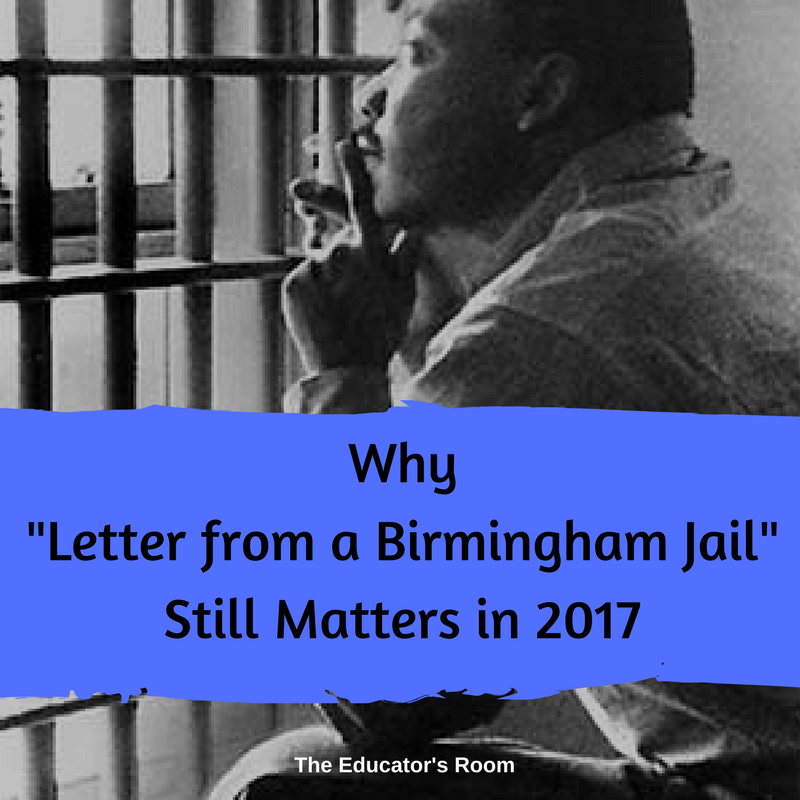 “Letter” was written in response to an open appeal from moderate, white pastors in the Birmingham area asking Dr. King and the activists not to cause so much disruption. In the very newspaper where he read the article while sitting in jail, Dr. King began writing his response. 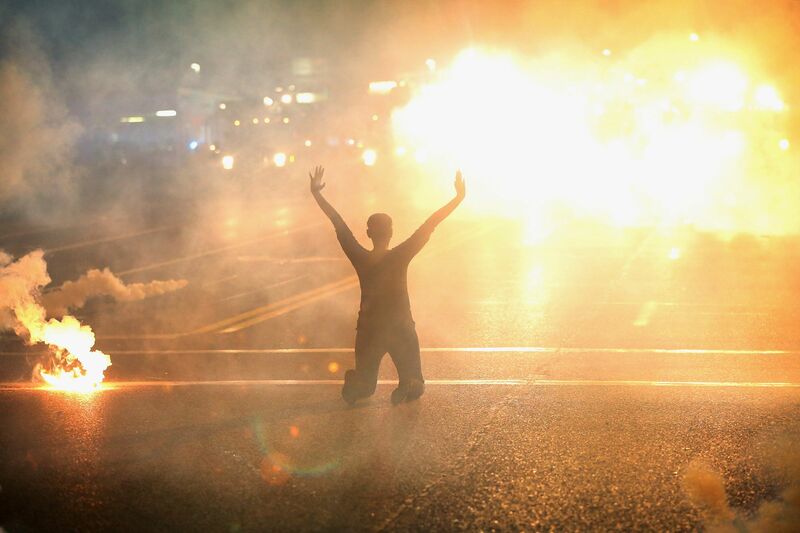 What many Americans still do not grasp about direct action and non-violent activism is that “non-violent” does not – and should not – equate to “convenient.” The point of direct action is to draw attention to the injustices that have resulted in the demonstrations. In the last several years, a primary and dominant injustice in this country has been the consistent shootings and killings of unarmed black men and boys by police. Communities of activism have emerged in large numbers to protest the shootings in non-violent demonstrations. Prior to that, thousands of young Americans protested the growing wealth gap and its injustices in the protracted “Occupy Wall Street” demonstrations. 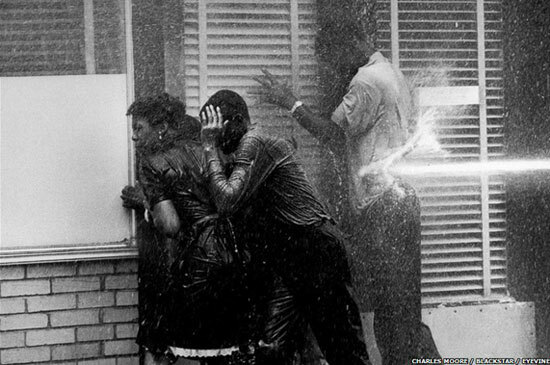 How police respond to these demonstrations is not markedly different from that April in 1963. That tension and that struggle are what bring the issue to the forefront. That tension causes those with privilege enough not to feel the injustices occurring to have to confront the fact that the injustices, indeed, ARE occurring. That is the point of direct action. Teachers also face a discomfort and tension in teaching these concepts that Dr. King promoted as a way to resist oppression. From the beginning of organized education in this country, schools and teachers have been expected to serve as in locus parentis (the substitute parents during the day for the students). In this role, society often expects that teachers will teach their students how to be docile and cooperative in the broader community. Students are expected to matriculate from school ready to go on to work or higher education and follow the societal boundaries set for them. In the decades since Dr. King’s death, instruction about the Civil Rights Movement and Dr. King himself have also become more and more docile. “Black History Month” now tends toward eulogizing the most benign aspects of African American history, and no one is intimidated or feels tension over the actions of Rosa Parks or John Lewis. Students rarely learn about Emmett Till or Medgar Evers. American students may learn about the Civil Rights Movement leading to desegregation or voting rights, but do they truly realize that it was the confrontation of human bodies and souls with the standing customs of the day that did that work? It was not happy Sunday parades and marches in the streets. It was John Lewis’s head being bashed on the Edmund Pettus bridge in Selma. It was Andrew Goodman and Michael Schwerner, and James Chaney, murdered because they were attempting to register people to vote. Today the very laws passed to keep those voting rights protected are fast disappearing in states across this country. Police brutality and targeting of communities of color continues to be a reality in the lives of many of our students. The bottom 90% of American incomes are fast becoming smaller and smaller compared to the highest 10%. And this week a president will be inaugurated who won with only 46% of the vote, and who has promised to withdraw the American Care Act, deport people of Muslim faith as well as Mexican immigrants, and who has bragged about sexually assaulting women. This is a difficult time in our country’s history, and teachers have an especially difficult task in both comforting students who are afraid of what this new administration means for their families, and encouraging students to be active participants in positive change. It is time for teachers to be more honest about how we teach about Dr. King and the Civil Rights Movement. Dr. King never intended to make anyone comfortable or to change society in a convenient way. This week will see a variety of direct actions taken around the country and the world, calling attention to the injustices promised by the new administration. Instead of echoing the powerful in condemning demonstrations and protests, it is time for us to honestly teach our students that society does not change for the better without tension and discomfort. It is time to teach that direct action is inconvenient for a reason. And it is time to teach that positive change in this country demands courageous activists who are willing to stand in the way of injustices.